Biography: Karen M. O’Neill is a sociologist who studies how policies about land and water affect government power, the status of experts, and the well-being of various social groups. She has researched biodiversity protections in the urban plans of large cities around the world, local slow growth and pro-growth movements and policies in small towns, river flood control, and coastal storm vulnerability and hazard reduction. 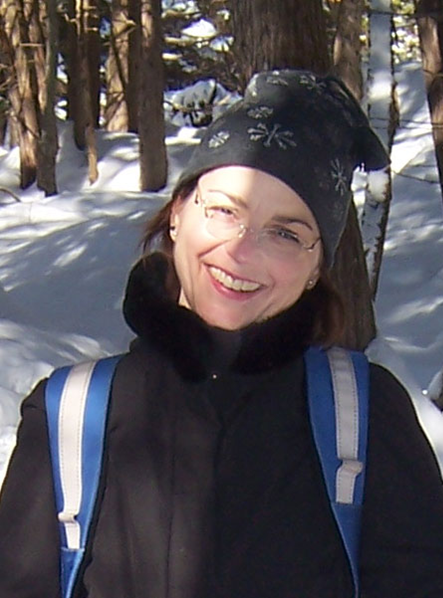 Karen has written or co-edited books on the rise of the U.S. program for river flood control and growth of government power (Duke University Press), on race and Hurricane Katrina (Rutgers University Press), and on changes in institutions in response to Hurricane Sandy (Rutgers University Press). She is a member of teams in two international competitions for coastal resilience designs, one for the New Jersey shore after Hurricane Sandy, under the Rebuild by Design competition (finalist team), and the second to use the Mississippi River to replenish coastal land in Louisiana, under the Changing Course competition (one of three winning teams). As part of my ongoing research on water and land policy, I am leading a study of the Rahway River in New Jersey, funded through the Behavior and Cognitive Science and Long Term Ecological Research programs of the National Science Foundation. We are analyzing the patterns of ecological and organizational connectivity within this urban watershed. Representatives from municipal and county governments and local and state-wide non-governmental organizations will participate in a workshop with the interdisciplinary scientific team to use the findings to develop methods of enhancing both ecological and organizational connectivity. Team members include Myla Aronson (Ecology and Evolution), Manisha Patel (Harvard Forest), Rachael L. Shwom (Human Ecology), Wolfram Hoefer (Landscape Architecture), and Jeff Dowd (Sociology). We deeply miss our other colleague on this project, Joan Ehrenfeld. My ongoing research on watershed management and its policy alternatives includes analysis of watershed management theories and a study of political conflicts over state government watershed management policies. Karen M. O’Neill, Thomas K. Rudel, Melanie H. McDermott. 2011. Why Environmentally Constrained Towns Choose Growth Controls. City and Community 10(2):111-130. Keith Wailoo, Karen M. O'Neill, Jeffrey Dowd, and Roland Anglin (eds.). 2010. Katrina's Imprint: Race and Vulnerability in America. Rutgers University Press. Karen M. O’Neill. 2008. Broken Levees, Broken Lives, and a Broken Nation After Hurricane Katrina. Southern Cultures 14(2): 89-108. Karen M. O’Neill, Jeff Calia, Caron Chess, Lee Clarke. 2007. Miscommunication During the Anthrax Attacks: How Events Reveal Organizational Failures. Human Ecology Review 14(2):119-129. Karen M. O'Neill. 2006. Rivers by Design: State Power and the Origins of U.S. Flood Control. Durham, NC: Duke University Press. Karen M. O'Neill. 2005. Can Watershed Management Unite Town and Country? Society and Natural Resources 18(3):241-253. Karen M. O'Neill. 2002. Why the TVA Remains Unique: Interest Groups and the Defeat of New Deal River Planning. Rural Sociology 67(2):163-182.